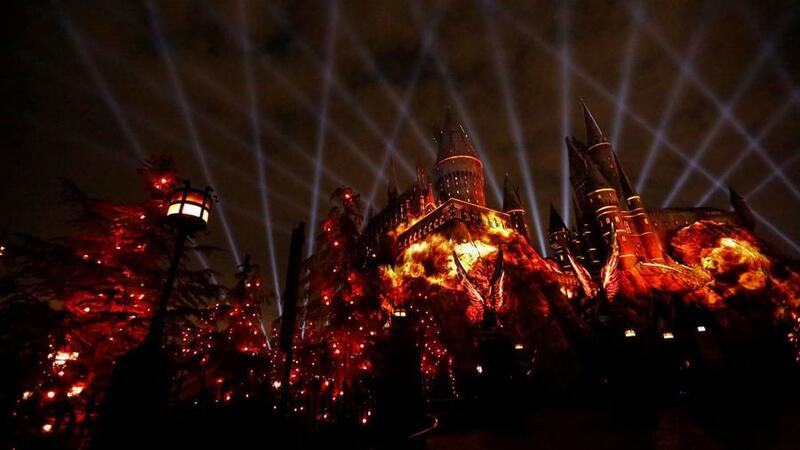 The Wizarding World of Harry Potter is going to become even more magical this summer. Previous reports of new a nighttime light show for the park have been confirmed. 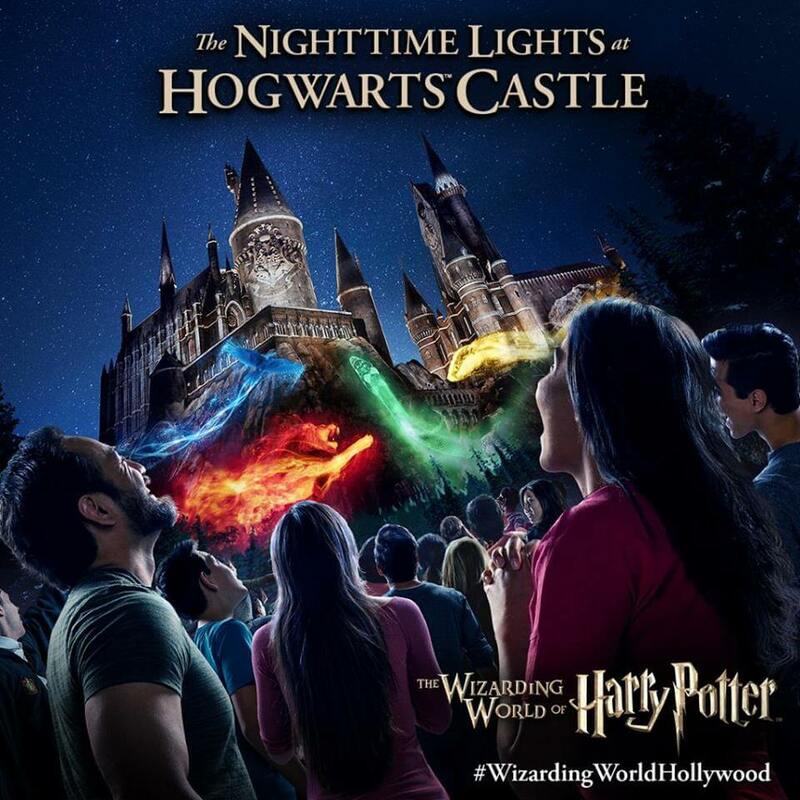 Starting June 23, Universal Hollywood will debut The Nighttime Lights at Hogwarts Castle, a five-minute spectacular show of lights and sounds. After dark, guests will be invited closer to the castle as a quote from the Sorting Hat launches the show: “There’s nothing I can’t see, so try me on and I will tell you where you ought to be.” Colorful state-of-the-art light displays and special effects project iconic images from the four houses of Hogwarts onto the castle. The LA Times was in attendance for a preview of the new show and captured two of the different Hogwarts looks in the photos below. 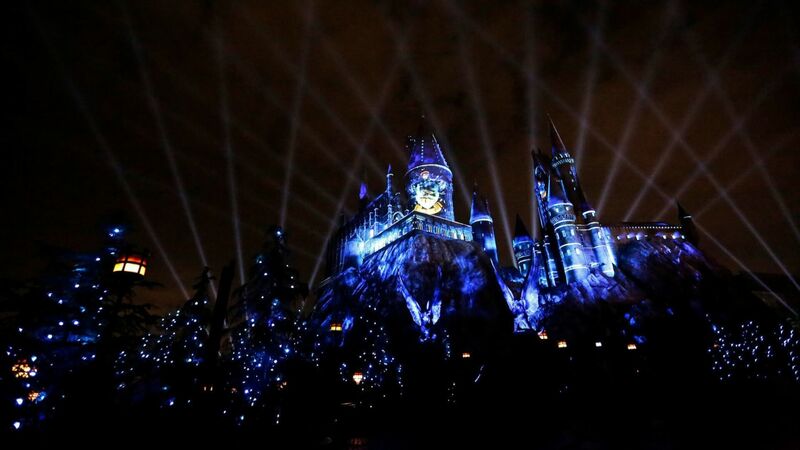 The Nighttime Lights was inspired by the projection show created for Wizarding World’s grand opening last spring. The creative team worked for more than a year to build a new immersive experience for park guests. John Williams scored the first three ‘Harry Potter’ films and the Wizarding World grand opening, and he composed the music for the new Nighttime Lights show as well. Relive the grand finale moment from the opening ceremony in the video below. Through the use of 3-D projection mapping and a multi-channel audio system, guests will be able to experience the show in new ways depending on where they stand. It promises to be a truly immersive step into the sights and sounds of the world of Harry Potter. The Nighttime Lights at Hogwarts Castle will be performed multiple times a night throughout the summer. Live rehearsal previews for annual passholders and limited guest access will be available in preparation for the June 23 grand opening. Got something to really cherish about. Good to play nba games from the mentioned website, These are available for free moreover get free locker codes and badges and gtr access to unlimited VC for nba games.